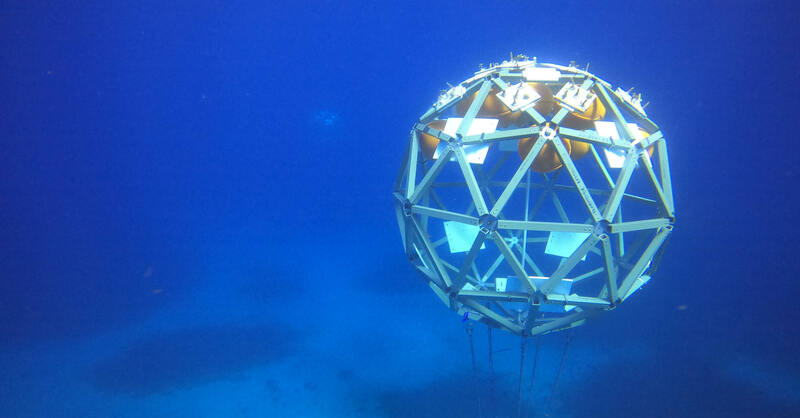 Imagine massive floating structures in the open ocean colonized with luminescent corals, anemones, crabs and urchins, and circled by giant schools of fish. 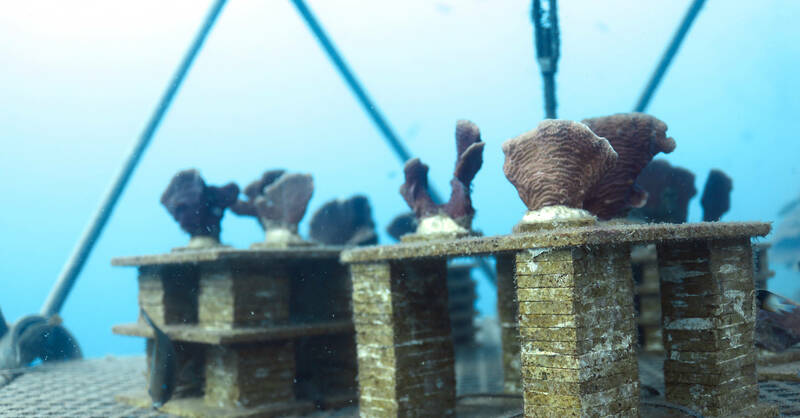 These are Coral Reef Arks, tools for building new coral reefs and restoring those that have degraded due to microbialization and climate change. 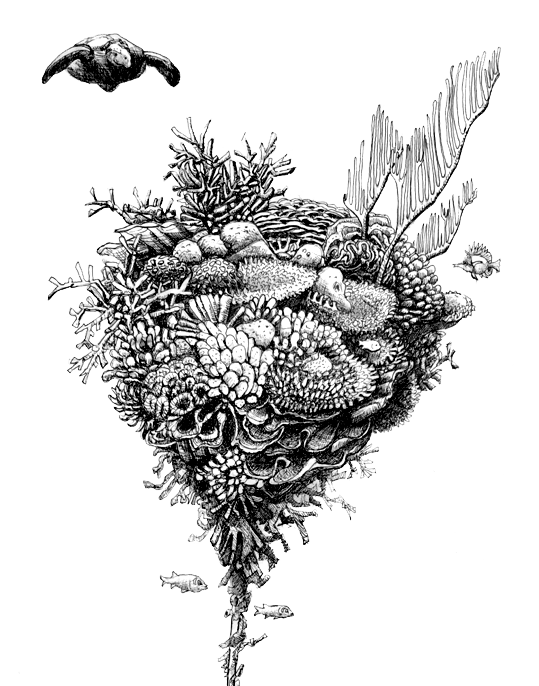 ARMS placed near natural reefs aggregate millions of reef species into one-square-foot structures. 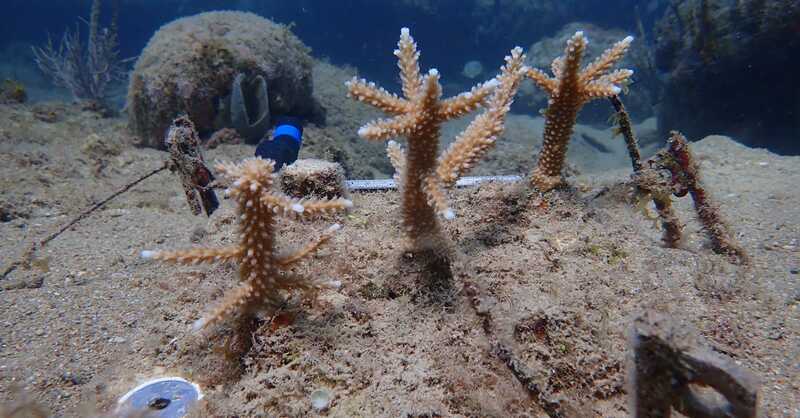 We found that nearly all biodiversity on coral reefs will settle on these foot-squared structures. And, that divers can move ARMS without disturbing the biodiversity living on them. 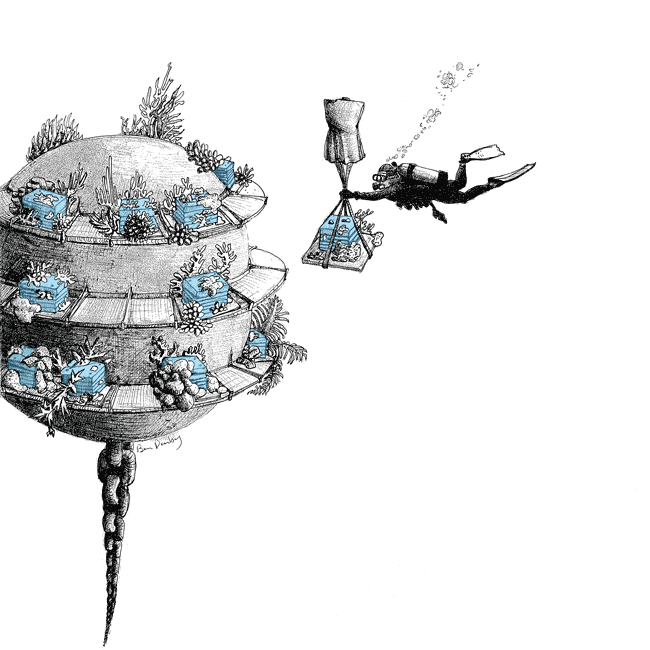 Like building blocks, hundreds of ARMS will be aggregated onto Coral Reef Arks to assemble large reef communities. 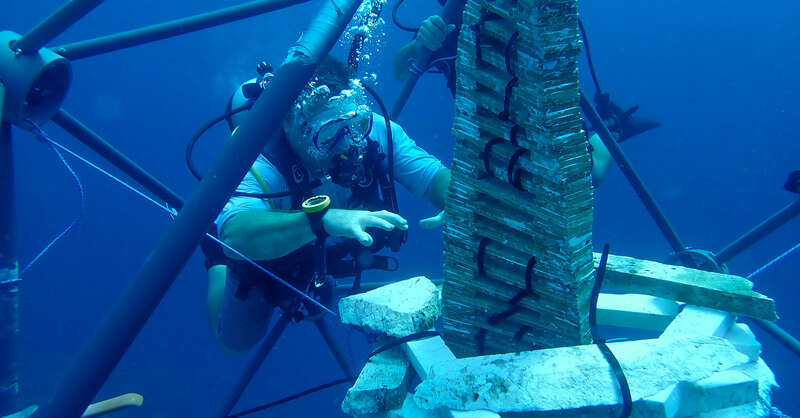 Mitigate damage to or removal of reefs for construction projects (e.g., refurbishing piers). For more information, please see our FAQ page and our White Paper. So far we have raised nearly $10 million dollars from the National Science Foundation, National Institutes of Health, Gordon and Betty Moore Foundation, and Spruance Foundation. 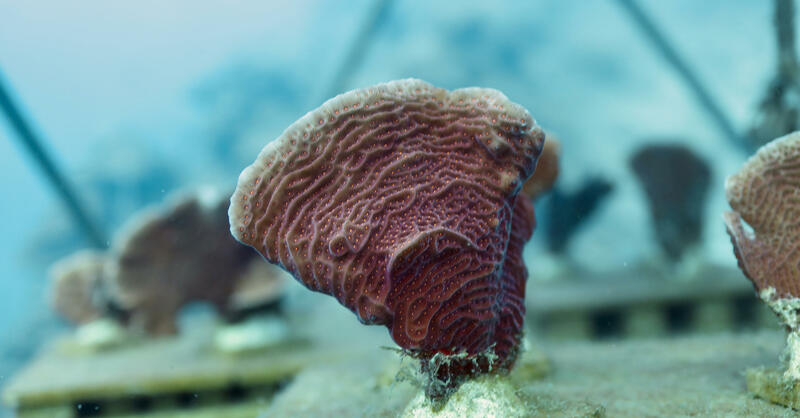 The Coral Reef Arks collaboration is a cross-disciplinary, synergistic group of passionate scientists, engineer, lawyers and business people working to conserve, restore, and migrate coral reefs for recreation, food, natural products, and ecosystem services. We are seeking a maritime lawyer to provide the legal background of the rights and responsibilities to deploy Reef Arks Parks in different countries' EMZs and in international waters. The lawyer will work in close collaboration with a GIS scientist (described below) to select a subset of the most optimal sites for Reef Arks Parks based on environmental conditions, legal jurisdiction, and reducing navigational hazards. We are seeking a GIS scientist to map the seamounts and other sites best suited for 100+ year of reef survival based on current and projected levels of temperature and pH change, and anchorage potential (e.g., depth). We are seeking an environmental economist or individual from a related field to assess the quantitative benefits of Arks, so far as they relate to revenues (fishing and tourism) and carbon sequestration. Arks may provide a novel source of carbon credits that could be sold to offset other sources of greenhouse gas pollution. Deploy the first restoration-aimed ARMS in Curaçao. 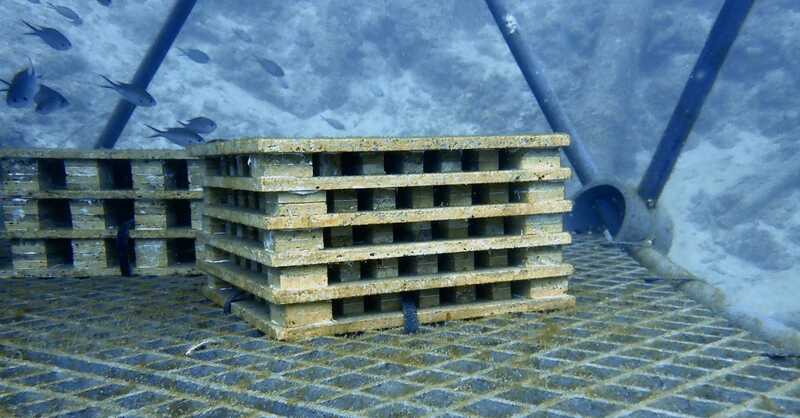 Develop and fabricate test Arks in Curaçao. Deploy 10,000 ARMS units in the ten coral reef regions of the world. Fabricate, assemble, and implement ten Reef Arks Parks.